Reyn Frosch has trouble. Everytime he’s threatened, people end up dead, and he doesn’t know why. There are two people that do know, Arcannen and Paxon Leah. Paxon wants to protect him, Arcannen wants to control him. Reyn is caught in tug of war with no idea which side to trust. Paxon Leah – Wielder of the Sword of Leah and Defender of the Druids. Reyn Frosch – A man discovering he has the ability of the Wishsong. In this followup to The High Druid’s Blade, the reader now finds Paxon Leah as the defender of the Druid Order. The story begins as he’s called into the office of the Ard Rhys, Aphenglow Elessedil, who proceeds to tell Paxon that she’s dying, and she has one more mission for him. He escorts her to the Hadeshorn, where her spirit joins with that of all the other druids. When Paxon returns, he’s notified that one of the Druids has noticed a familiar pattern in the waters, showing the use of some form of magic. This is where the plot than switches between that of Reyn Frosch, a young man with magic he doesn’t understand, Arcannen who is wishing to possess control of Reyn’s magic, and Paxon’s group who want to protect Reyn. I really enjoy this. This series has seemed like a slight departure for Mr. Brooks. While you still have the normal trappings, good, evil, wishsong, there’s no global threat but only the threat of Arcannen wanting to seize power. In some ways, this is a fantasy version of a political thriller. That I think was the interesting aspect to it. 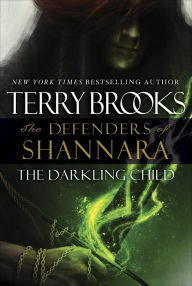 Like all of Mr. Brooks books, which I’ve read, I found myself loving this one, and I look forward to when I have time to crack the cover on it, and return once again to the world of Shannara. His novels Running with the Demon and A Knight of the Word were selected by the Rocky Mountain News as two of the best science fiction/fantasy novels of the twentieth century. The author was a practicing attorney for many years but now writes full-time. He lives with his wife, Judine, in the Pacific Northwest. We’ve all seen the extremes that companies will go to in keeping their secrets. But many times, keeping these secrets can cost a company. 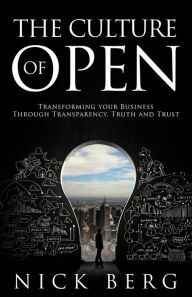 In The Culture of Open, author Nick Berg details what openness is, how companies can be more transparent, and the benefits of doing so. He also covers examples of companies who adopted transparency and who didn’t, and how each was impacted. Overall, I found this company fascinating. As a former programmer, I’ve seen what the benefits of having things like open source software can be. The book was well written, and was very informative. The real world examples are something everyone could understand. The text is written, so even if you aren’t a business professional, you can still understand it, so the author doesn’t get too technical. I find that quite a relief in this type of book. So if you’re a CEO of a large corporation, or a small business owner, and you want to give yourself that edge, than pick up The Culture of Open, I have a feeling it might help you. Executive level strategist with over 20 years of innovation and global business experience, Nick Berg advises C-level peers on the impact of particular people, processes and technology solutions for the corporation as a whole. 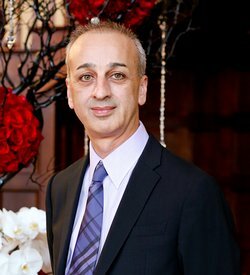 He believes true value is the fluency in both business and technology. As a business process improvement consultant, Berg advises Fortune 500 companies on cultural and business transformation.